The air cargo business is an important part of the aviation mix and is characterised by three main modes: belly-hold freight on passenger aircraft, all-cargo operations and parcels services. 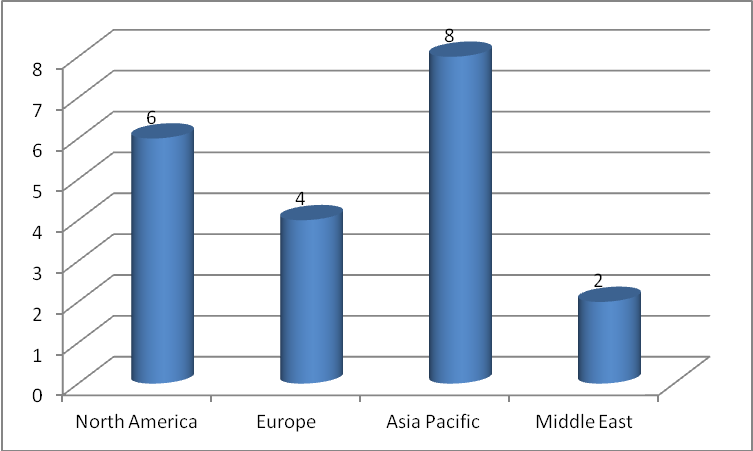 While all-cargo operators and, to a lesser degree, parcel distributors have tended to congregate at primary passenger hubs airports, there is an increasing trend to move away from those centres in favour of smaller regional airports, where surface distribution attributes are better. In some cases, cargo airlines are even finding it difficult to obtain slots are some of the larger airports. Just as the location of distribution centres has shifted from town centres to motorway junctions, it looks as if airfreight operations are starting to follow them. This CAPA report looks at some of the reasons for these developments. According to IATA’s Director General, demand for air cargo “is at its strongest level in over a decade”, and he has noted that, again, “we are being challenged on the cost front by rising fuel, labour and infrastructure expenses”. The top 20 global cargo airports, as measured by cargo tonnage in 2016, have one important characteristic. They tend to be either located at major passenger hubs or they are airports that are headquarters bases for large parcel carriers. There are only really two exceptions. One is Anchorage, Alaska, which is on the Pacific Rim and – other than those in Hawaii – is the closest U.S. airport to North Asia (though it does have also have three parcels parcel carriers located there which handle Chinese trade). The other is Guangzhou in China, where there is an enormous airport city and associated ‘aerotropolis’ economic region. Another interesting feature is that there is a little less movement in the top ten in the cargo segment than in the passenger one. There were three movements up or down the top 10 ranking of cargo airports in 2016, compared to five for passenger airports and 11 in the top twenty compared to 14. There were few major shifts up or down the table either, with the exception of Doha’s Hamad International, which saw tonnage growth of 20.8% and a subsequent jump four places up the table – far and away the biggest change. In 2015 Qatar Airways announced plans to open a second cargo terminal in 2018 (now 2021) to increase capacity from 1.4 million to 4.4 million tonnes per annum, and later to seven million tonnes. In 2017 a 6700sqm transit facility for courier and mail shipments also opened. The only recorded fall was at Anchorage (3.4%), which augured well for the full year 2017, during which the cargo business has continued to benefit from a strong cyclical upturn in volumes, with some recovery in yields. Volumes are expected to grow by 4.5% in 2018 (though that will be a fall from the 9.3% growth of 2017). The boost to cargo volumes in 2017 is thought to have been a result of companies needing to restock inventories quickly to meet unexpectedly strong demand. This led cargo volumes to grow at twice the pace of the expansion in world trade (4.3%). Cargo yields are expected to improve by 4.0% in 2018 (slower than the 5.0% in 2017). While restocking cycles are usually short-lived, the growth of e-commerce is expected to support continued momentum in the cargo business beyond the rate of expansion of world trade in 2018. Cargo revenues will continue to do well in 2018, and are expected to reach USD59.2 billion (up 8.6% from 2017 revenues of USD54.5 billion). Six of the top 20 cargo airports in 2016 were in the USA. Two of them are outright parcels airports while a third (Anchorage) is heavily influenced by that segment. Of the other three, one (Miami) is the primary passenger and cargo interchange between North and South America, while Los Angeles International and Chicago O’Hare represent the airports that face the New World and Old World respectively. Both of these last two airports have recently been, or soon will be, the subject of in-depth CAPA profiles. See the report on Los Angeles at https://centreforaviation.com/analysis/reports/los-angeles-international--potentially-a-model-for-the-operation-of-large-hub-airports-384077. Even allowing for the established nature of the domestic and international parcel business in the U.S., that is a strong showing. It will be interesting to see how the twin government policies of retrenchment/protectionism and economic stimulus influence the table at the end of 2017, after the first full year of the Trump presidency. The chart below details how the top 20 are apportioned by region. Asia Pacific and North America are, not unexpectedly, the two leading regions, though it is noticeable that of the Asia Pacific airports that are in the table, only three are in China. The Middle East representatives mirror the success of the passenger hub activities there, allied to the propensity to import on a massive scale. South and Central America, and Africa are, as is often the case, completely absent. What is perhaps surprising – given the amount of commercial activity that goes on there, and the fact that two of them are very much part of the Pacific Rim economic zone – is that major cities in Canada and Australia, such as Toronto, Vancouver and Sydney, do not make the table. In fact, they do not make the top 30, either. It will also be evident from the table that the statement in the second paragraph here is borne out. Of the top 20 cargo airports, 15 at least are also primary passenger hubs. There is also an ‘old world’ feel to the second half of the table, as Europe is represented by Paris, Frankfurt, Amsterdam and London Heathrow – the ‘FLAP’ airports as they are known, and also the busiest passenger airports there. The first two retained their table ranking in 2016, whereas the second two both slipped a place. Overall, they can all be expected to continue to slip - there are three aggressive airports just outside this table: namely, Shenzhen (China), Abu Dhabi and Dubai’s Al Maktoum. As for the correlation between cargo airports and airport cities, which one might expect to be more acute than for passenger airports, all but three of these airports (Anchorage, Tokyo Narita and Doha) were, in 2014, described as having either operative or developing airport cities and/or aerotropolises around them (Source: Dr John Kasada, Director of the Centre for Air Commerce at the University of North Carolina's Kenan-Flagler Business School). The World’s Top 10 aerotropolises were examined in a CAPA report earlier in 2017. While it is not immediately evident from the table, cargo airlines appear not always to be welcome at some airports, especially the major hubs, and can find it difficult to obtain slots. 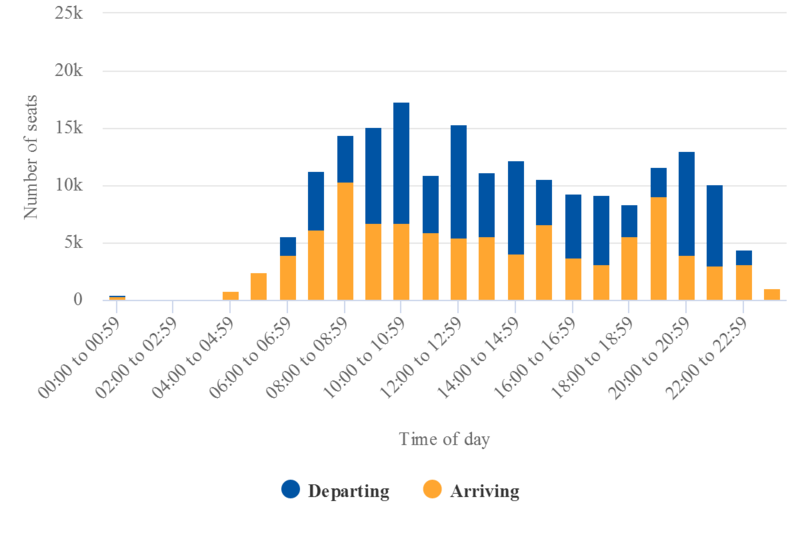 One possible reason for this is that all-cargo aircraft are not constrained by the body clocks of passengers. They can as easily start or finish their journeys at 0300 as 1500. In fact, if the loading at an airport depot is reliant on the consolidation of freight that has been gathered from far and wide, 0300 might in fact be a better time. The problem is that many airports have night-time curfews, or other restrictions, so the cargo operators have to fight with the passenger airlines for daytime slots. An airport operator may consider a cargo flight during the daytime to be less important economically. There are no passengers on board to spend money in shops, bars, restaurants and duty-free stores, or to park cars. Nor are there many human beings waiting to welcome a parcel or piece of machinery, let alone to kiss one goodbye. Amsterdam Schiphol, which is 17th in the table and slipped one place in 2016, has been cited as an example. Owing to environmental constraints, it has a limited number of slots during the night period. Airlines are not allowed to operate between 2200-0600 without a slot applicable to this period. 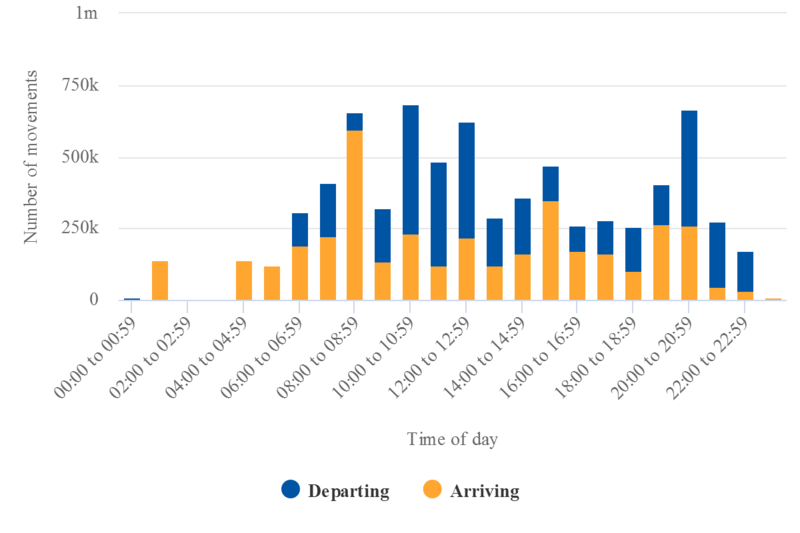 How this impacts on activity by hour in both the passenger and cargo segment is shown in the charts below. Source: CAPA - Centre for Aviation and OAG. Details on terms used within this graph can be found in the Glossary. In this instance, it appears that a greater amount of leeway has been offered in the night-time period, although it is marginal. During the day the tables are also influenced by aircraft size (for belly-hold freight purposes, in the case of cargo). Interestingly, Emirates has now announced plans, effective Feb-2018, to launch three times weekly Dubai-Maastricht service with Boeing 777F aircraft, as an alternative to Schiphol Airport, and will increase frequency to daily from Mar-2018. In Los Angeles, the problem is said to be a lack of ramp parking and facilities. Parcel carriers have reacted by, for example, concentrating on a large facility at Ontario Airport and employing additional facilities at San Bernardino Airport (UPS), as well as building a cargo operation at Chino Airport, which is a reliever facility also close to San Bernardino (FedEx). All those airports are located close to what is regarded as Los Angeles’ main distribution area, to the east and northeast of the city-region. The question is: why do cargo airlines have to serve a heavily restricted, slot controlled facility? Usually, the reason is distribution. Typically, a comprehensive road network of motorway standard will serve a primary hub airport, a facility around which a network of freight agents will also gather. The cargo segment has not been “disrupted” to anything like the same degree as the passenger one, and is still heavily reliant on the agency network. Consequently, cargo is drawn to where the best deals can be made, and is often consolidated via trucking operations into those airports. Big passenger hub airports tick all the boxes: they are usually situated on these road networks anyway, to which they are linked by a ‘spur’ road, and they have a broad range of services on which there is lots of belly-hold space for cargo, thus generating growth in the segment. There is every reason why a cargo-only airline should operate there. A very good example can be found at London Heathrow, where a freight distribution business grew up around the A4 Bath Road, along with warehousing and the head or regional offices of corporations. But as Heathrow has become more congested, its appeal to airlines that are not consolidating their cargo operations there has started to diminish. Volume capacity is not growing; in fact, it is falling, albeit by a small amount – from 3.77 billion kilos in 2014, to 3.43 billion kilos in 2017. There are now 10 cargo airlines operating at Heathrow, compared with 18 at London Stansted Airport and 24 at East Midlands Airport, which is the UK’s busiest for freight. Both Stansted and East Midlands are located close to motorways (the M11 and the M1 respectively), with more of the UK population (as a whole) being accessible.